Daily maintenance of your Ottawa yard truck is crucial to prolong the lifespan of your truck and protect the drivers. 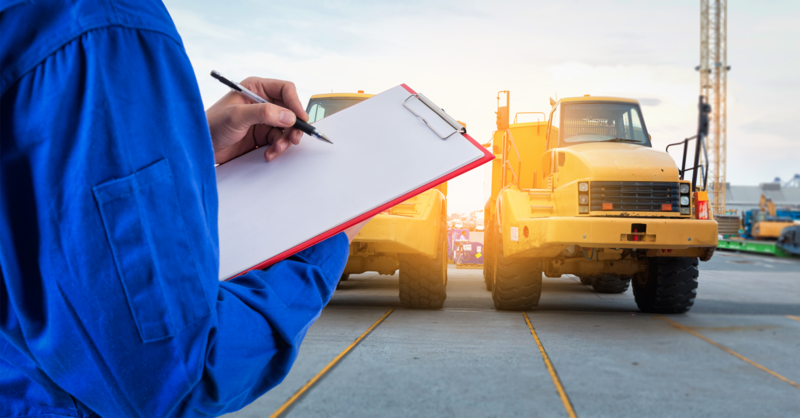 At Louisville Switching, we are offering a free, downloadable Daily Maintenance Checklist that you can follow for proper daily care of your Ottawa yard truck. Inspecting your truck daily helps to avoid preventable accidents, damages, part replacements that can cost valuable time and money to repair. We got a call from a long time client of ours that had switched to another company for preventative maintenance on their yard trucks. The other service provider made the same promises we make, except they charged less. The other service provider didn't deliver. One of the items our client had been paying this other company for was a monthly air filter replacement. They were paying $90 a month just for the filter replacement. We were called in six months after this other company was hired to replace us, and when we went to change the air filter noticed it actually hadn't been changed in quite a while. When we change air filters, we note the engine hour meter reading when the filter is changed and then we monitor the accumulated hours on the engine and track it in Chuck's "Truck Book." The date that was on the filter had been placed there by the other service provider and it was 7 months old, even though they had been charging for a new filter every month. When that client came back and asked us to pick up where we left off, they also told us they totaled all the repairs they had to make and said, "We pay a little more for maintenance with Louisville Switching but we always save money in the long run." It's just like spending hours every year waxing your hot rod. The paint job will last ten times longer. At Louisville Switching we never cut corners and we always deliver on our commitments. Our maintenance program has an emphasis on "preventative." Our routine maintenance for your yard trucks will save you money and reduce repairs, it's a fact. A big thank you to all of our clients and we hope to bring many more of you on in the future.